Beautiful Cupcakes …all dressed up for the tea party. 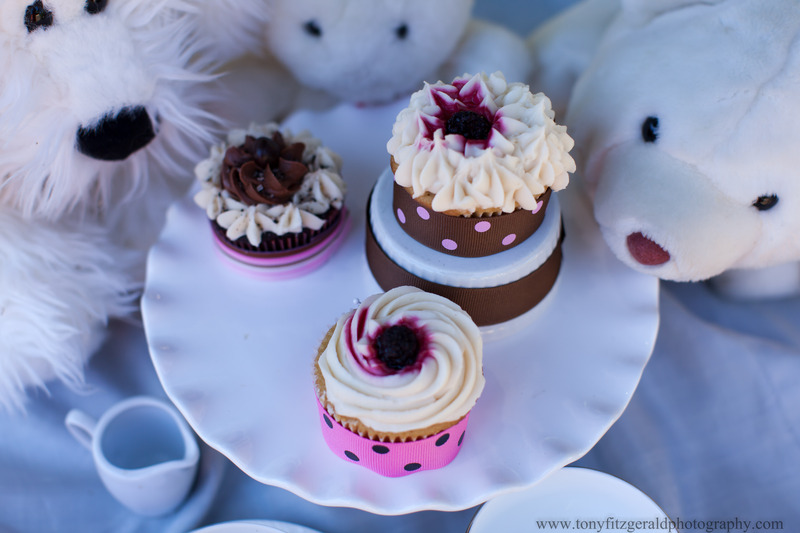 My Cupcake Corner makes delicious cupcakes decorated for all sorts of occasions and events. They all have fillings that make them extra special (the Bonny Dune blackberries are fantastic!) Kelly, the owner, told me they are very popular for weddings because everyone gets their own little cake, and the couple saves the cost of cake cutting. She has a line of booze cakes just for such an occasion. They are local, vegan, organic, and she sells through the internet and at a pop-up stand – doesn’t get much more Santa Cruz than that! Tony and I photograph weddings in Santa Cruz and love to post about local businesses we discover. Included below is a list of equipment we use in our business.